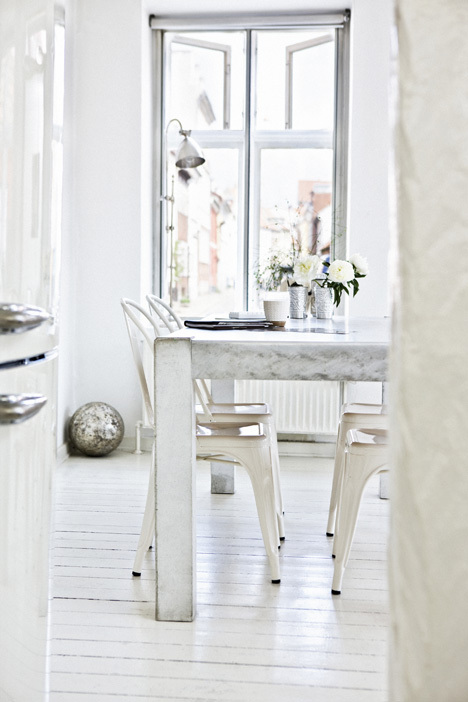 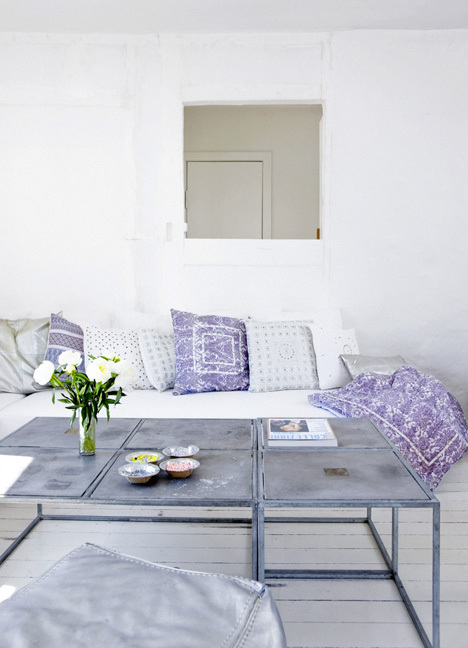 Beautiful summer house in the Danish countryside totally redone in gorgeous white decor. 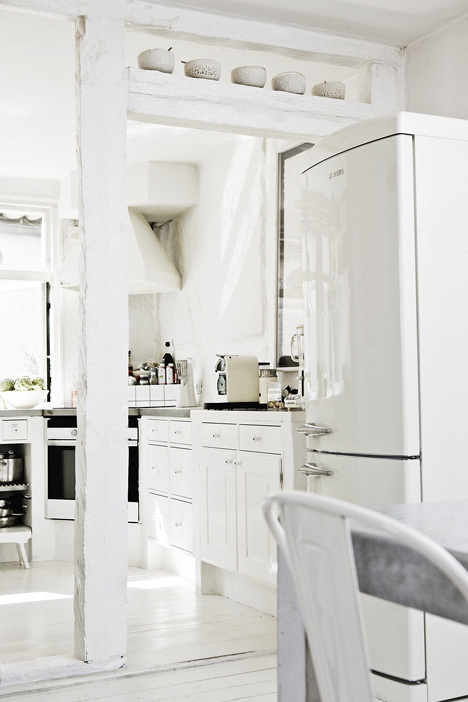 So many cute details like the Smeg fridge, the collection of jars and bowls on the kitchen shelves and the pretty purple accents throughout the house. 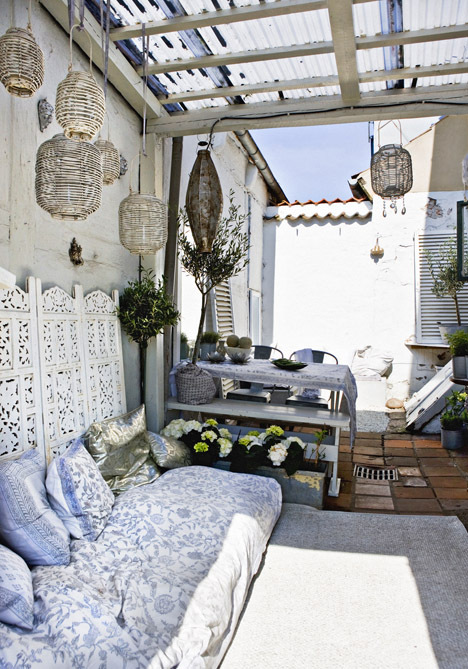 The balcony is sooo sweet with the lamps and comfy relaxing spot with lots of cushions. 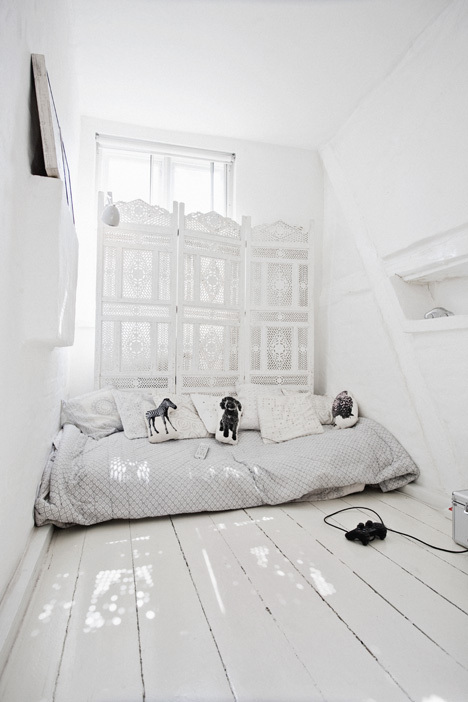 I mean other than the little bit of an accent this is really a white on white home from floor to ceiling....but with the different textures and varying whites it feels really fresh I think.